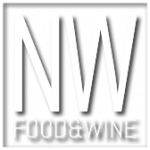 In its 13th year, the legendary Northwest Food and Wine Festival returns as the definitive wine festival in Portland with a targeted half-day wine and food celebration. The festival brings the highest quality regional wines, spirits, beers, foods and prominent chefs and restaurants. It’s designed to present a rich and rewarding experience for wine lovers, gourmet food enthusiasts and industry experts. For all involved, it offers a great opportunity for direct conversation.